As part of the Presidents "New Deal" the Works Progress Administration (WPA) came to Cleburne in 1939 to build a new football stadium. The stadium was built west of town on 6 1/2 acres in Emmett Brown's pasture. The stadium was built of concrete and native limestone blocks. The rock came from Somervell County. The permanent stands will seat about 3,808 spectators. The structure contains team rooms, showers, ticket booths and restroom facilities. The approximate cost of the project was $80,000, with the school contributing $15,000 of this sum. The stadium, designed by Fort Worth architect Wiley G Clarkson, was completed in 1941 just in time in time for the 1941 season. 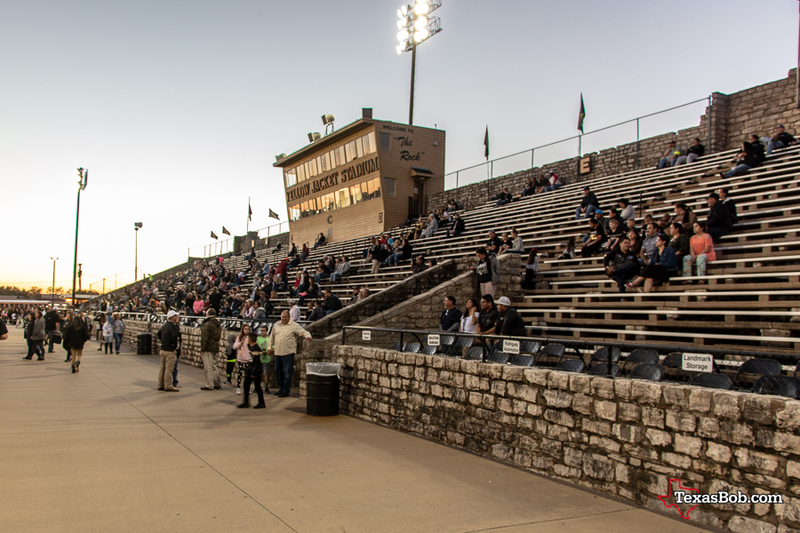 The first game played at Yellow Jacket Stadium between Cleburne High School and Fort Worth's Amon Carter; final score: Cleburne 7 – Amon Carter 18. 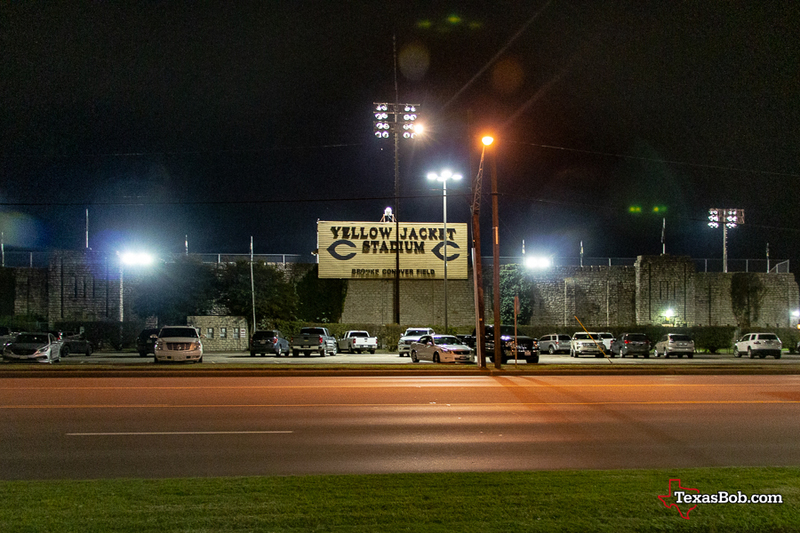 Today, Yellow Jacket Stadium is still a vibrant part of the city of Cleburne. The different events held at the stadium are well attended. I went to a game in November (2018) and enjoyed the game, the crowd. It is always nice to see our historic football stadiums well maintained. 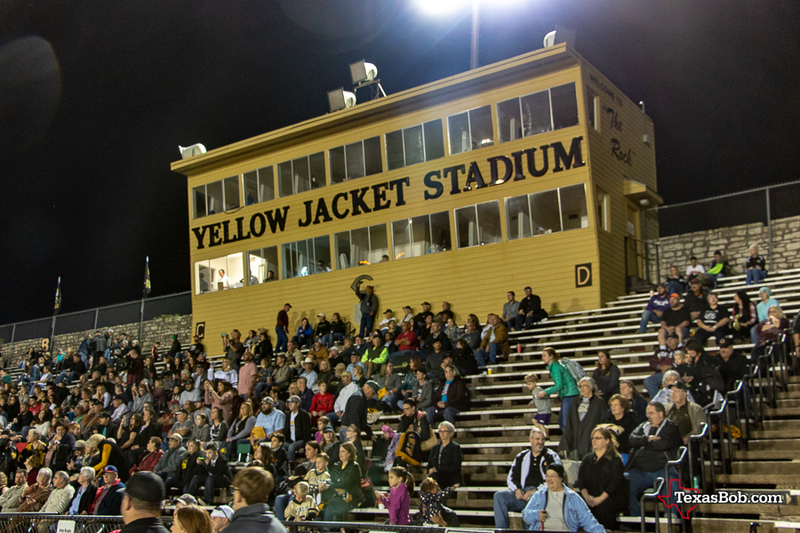 In October of 2011 In October of 2011 Yellow Jacket Stadium was the first football stadium to recognized with a Texas Historical Landmark designation by the Texas Historical Commission. 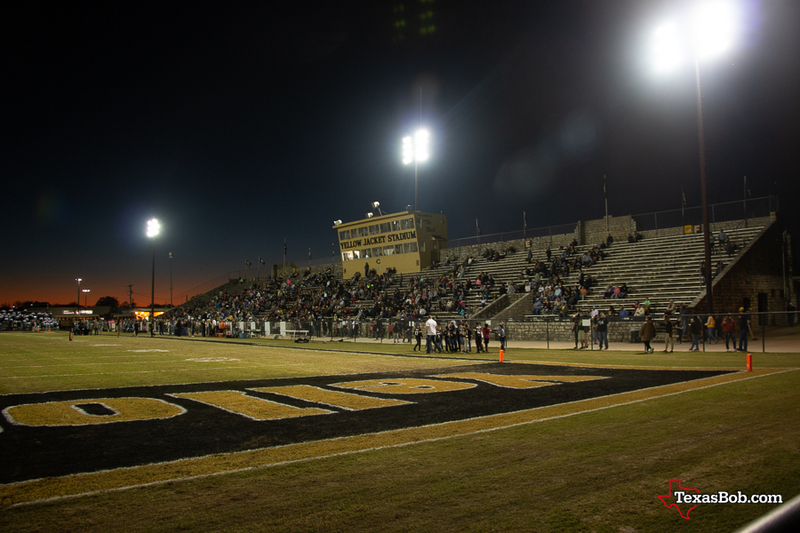 Yellow Jacket Stadium was the first football stadium to recognized with a Texas Historical Landmark designation by the Texas Historical Commission. seating for 3800, ticket windows, and dressing rooms. team, coached by Brooks Conover, played on this field.